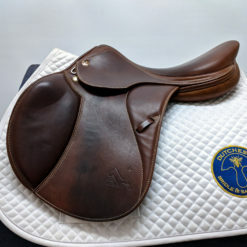 If you like a deep supportive seat this is your saddle! 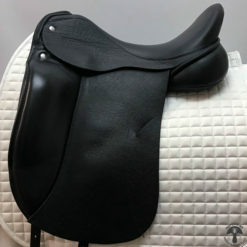 The Victory features supple textured leather and is in very good condition. 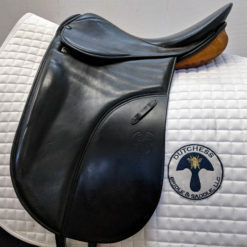 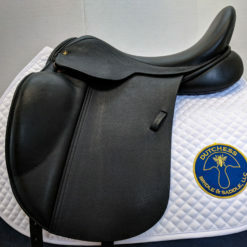 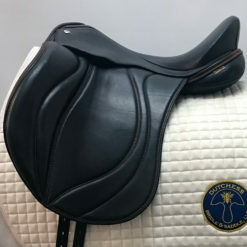 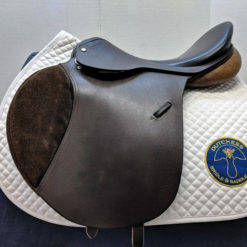 HORSE FIT DESCRIPTION: This saddle would fit a medium, A-shaped wither without hollowing behind the shoulders and has a moderate to level back. 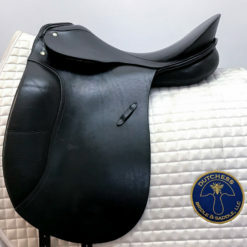 RIDER DESCRIPTION: The high pommel and tall cantle of this saddle combine to form a very deep seat along with large, supportive thigh blocks. 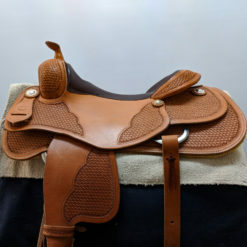 The depth of the seat may cause it to feel smaller than your usual seat size.